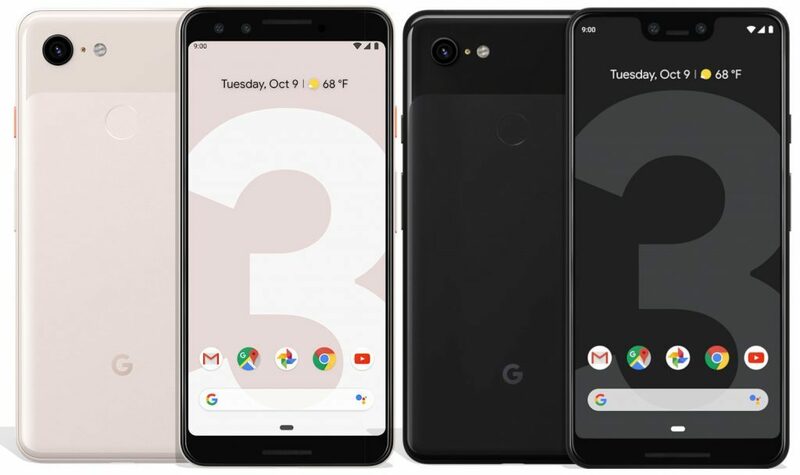 After a plethora of leaks and rumors, Google has finally announced the Google Pixel 3 and Google Pixel 3 XL Smartphones. Yes, all the leaks about the Pixel 3 and Pixel 3 XL were real (including the notch). Both the devices are powered by the Qualcomm Snapdragon 845 chipset clocked in at 2.5GHz. Both the devices will only feature 4GB of RAM and will have either 64GB or 128GB storage variants. Both the devices are IP68 rated for better waterproofing, compared to the IP67 rating of the outgoing models. Both the devices feature an OLED display. The Pixel 3 has a 5.5-inch 1080 x 2160 display (same as the Pixel 2), but now has an extra 10 percent surface area than the previous generation. The device has a battery capacity of 2915mAh. The XL variant has a 6.3-inch display with 1440 x 2960 pixel resolution and a 3430mAh battery. Both the displays have support for HDR mode, Color modes, and an Always ON mode. Both the devices feature a 12.2MP f/1.8 primary camera along with OIS. There is a dual-camera setup on the front of both of these devices. Both the front-facing cameras are of 8MP resolution with one being a 75-degree regular sensor of f/1.8 aperture and the other a 97-degree wide-angle lens of f/2.2 aperture. Other features of the Pixel 3 and Pixel 3 XL include front-firing speakers and AI-modes for the cameras for scene detection and better zoom. The Google Pixel 3 is priced at $799 and €950 for the 64GB and $899 variants. Whereas the Google Pixel 3 XL is priced at $899 and $999 for the 64GB and 128GB variants.